Bringing you the BEST in R&B and Signature JAZZ sounds! 2020 Goodyear Media Solutions & Broadcasting Network understands that internet broadcasting is not limited to the local area and is not effected by a listener’s location. For that reason we’ve created the 2020 Media Cast Box. We plan to extend the listener’s experience to stay connected with audio media content 24/7. 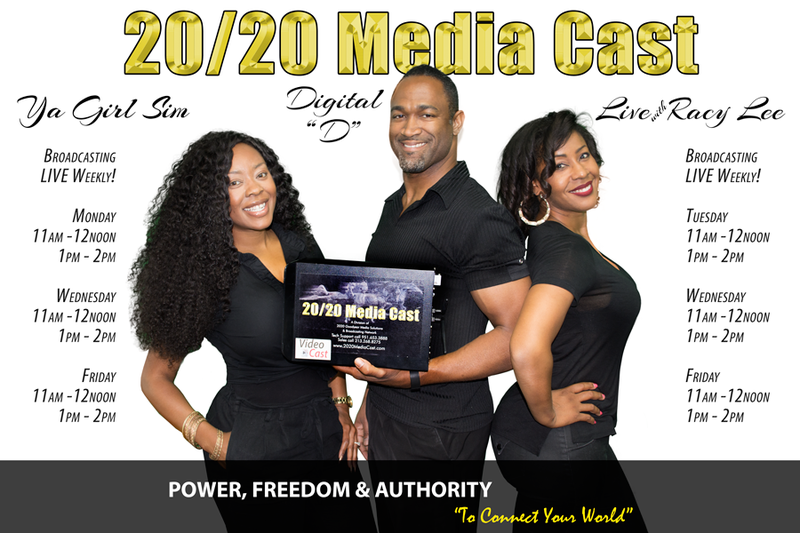 Feel free to explore our website for more information and feel the "Power, Freedom & Authority" of 2020 Media Cast. Our Media Cast Unit combined with good old fashion hard work afford us the opportunity to service our clients their business growth in mind. Our cast box allows you to deliver your programming to your listeners daily; Live or Pre-Recorded audio content. The Power, Freedom and Authority is in your hands to advance your business in today's’ market-place. From small focus groups to FM/AM online broadcasting; we meet your needs with the 2020 Media Cast Box. Providing over 29 years of media products and services. It's our mission to ensure the best quality service and products at all times; while challenging ourselves to be the "BEST" with this forever changing media world. Follow 2020 Media Cast into the 21st Century and beyond and experience our commentment to excellent service in media provision. Learn more about 2020 Media Cast Unit; click on brochure below to download. © 2016 Media Cast. All Rights Reserved.